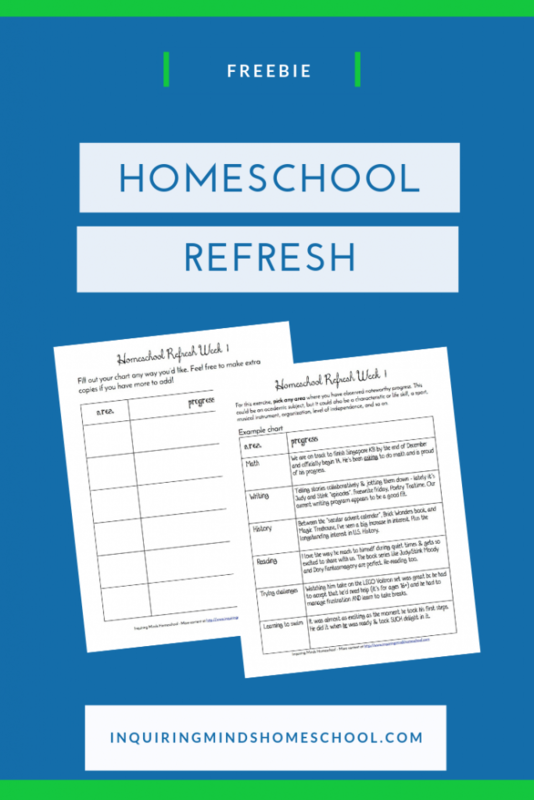 Many new homeschoolers get stuck on socialization. They are concerned about finding their kids enough friends, and maintaining the friendships that they’ve already made. It’s understandable. As a society, we’ve built up this myth that children must attend school in order to learn how to socialize. Social means “in society”. All of society, not just a very slim segment that happens to be inside a school building. Let’s break the assumption that schools actually provide socialization, as we would like it to be. 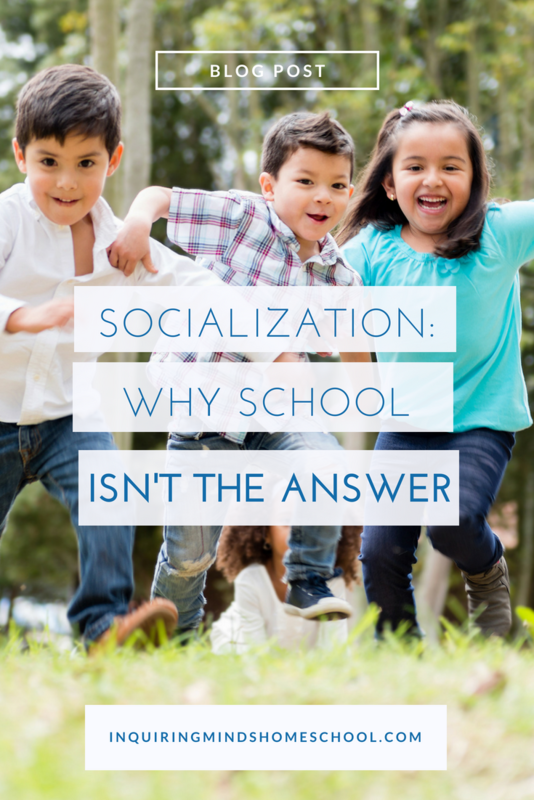 The “socialization” kids commonly get at school is extremely limiting. Here are some ways that schools may let us down when it comes to socialization. 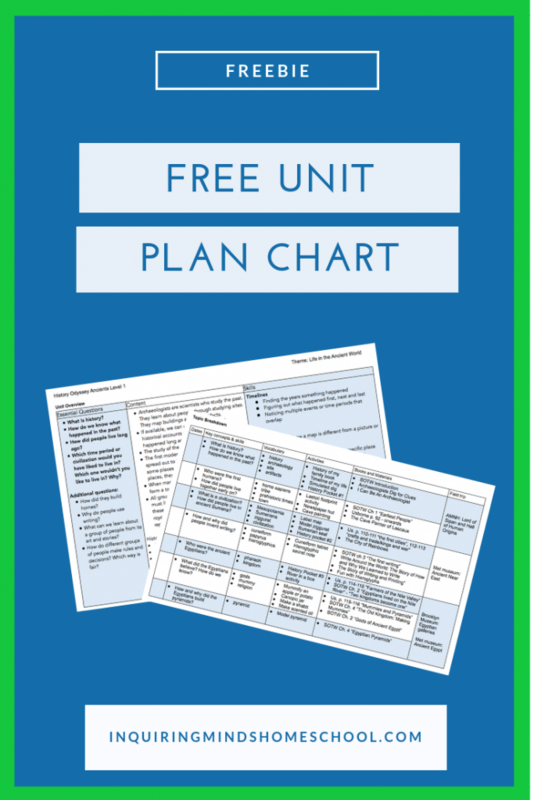 How this issue impacts your particular child will depend on where you live – what part of the country, what city and neighborhood. Depending on the school, there may be a few token students of color, or perhaps the reverse – a majority nonwhite population left behind after the richer, whiter families have fled to the suburbs. The dynamics of this get into gentrification, redlining, de facto segregation – in other words, school as a microcosm of society’s problems. Issues around racism impact how children interact with one another and with authority. They also speak to larger social questions of whose history and perspective is taught, whose contributions are valued or ignored, and whose way of speaking is considered “correct”. There are serious issues with how students of color are treated and perceived within American schools, way too much to unpack in a single post. Black families are choosing homeschooling as a way of liberating their children from a system that doesn’t value or understand them. Gender is another area of diversity that might be a problem. Elementary schools might have one or two token male teachers – rarely more. Middle and high schools might have more gender balance, or even skew more towards male teachers. And if your child is gender nonconforming in any way, school can be a deeply difficult place to be. Some schools make a serious attempt to think through issues of how to welcome gender nonconforming students, while others go out of their way NOT to be welcoming. In short, schools can become battlegrounds for some of the most difficult and divisive issues in American politics today. So it isn’t surprising that some families would choose to opt out of a system that they feel is enforcing the wrong values – whether that’s racism or gender stereotypes. People worry that homeschooled children will not have access to their peers at school. But, it is NOT true that children at school actually have access to each other! First of all, parents and kids would not get so upset over which specific peers are in a child’s class if they actually socialized with everyone. But as it turns out, children are pretty limited to the peers that happen to be in their homeroom, especially in the younger grades. Teachers get a TON of requests every year to either make sure two kids are in the same class, or NOT in the same class, depending on whether those kids are best friends, frenemies, or enemies. This wouldn’t be such a source of drama and upset if children actually had the opportunity to socialize with everyone in the grade level. Kids at school are surrounded by other kids their age. A seven year old has access to lots of other seven year olds. Maybe a few six year olds and eight year olds. Less traditional schools and special education classrooms might have a slightly wider age range. But by and large, kids spend the vast majority of their time with other kids who were born within a 12 month period. In what adult situation are we limited to spending all our time with people who happened to be born the same year as we were? Are there jobs where only people born in 1975 need apply? Are you only allowed to buy a house if you match the ages of your neighbors? It’s silly. Once we’re adults, we don’t limit ourselves to socializing with people born in our calendar year. Students rarely get to interact with peers who are in other grade levels. This is totally silly when you think about the arbitrariness of grade levels – take NYC’s December 31st cutoff. Who decided that kids born in January need to start school an entire year later than kids born in December? Is it possible that some kids born in January are ready for content and skills that some kids born earlier might not be? Academic unfairness aside, it just doesn’t make sense to cordon kids off who could enjoy being together because they were born in different calendar years. My son enjoys being with children who are several years older as well as those several years younger. He learns new skills and ideas from older children that he can then teach to the younger children he encounters. He’s learning so much about how to change his speech and activity level to match the development of the child he’s with. I can’t think of many things that are more important than learning how be sensitive to the needs of others. What are the consequences for the entire social group when children are sequestered rigidly by age? For one thing, we lose the natural tendency for older children to teach and protect younger ones. When you get a critical mass of kids in a room with no older, wiser leader to help them handle their differences maturely, they can fall back onto negative, judgmental thinking. Their view of what’s “socially acceptable” becomes limited. They compete with each other to become the top of their narrow group, rather than perceiving the wider range. And when they do interact, they don’t have empathy for one another – instead, older kids pick on younger ones. School structures ensure that there is no real way to avoid unpleasant and even harmful bullying situations. Most people have had experiences of being teased at school, or maybe even getting into a fight or two. This doesn’t have to be the end of the world. Kids can’t be protected from every cross word or unfunny joke. And there can be such a thing as taking things too personally. But, when there is a power imbalance, it crosses over from normal childhood conflict into bullying. Having to go to a school in which you are bullied is basically being in a hostile work environment. Except you can’t quit. Some schools do a MUCH better job than others of ensuring kids’ physical and emotional safety. But even schools with decent bullying responses make mistakes. They suspend children for being physical when they were in fact fighting back. Or they ask the bully and survivor to “apologize” to each other, as if they were on equal power terms. If a child is consistently having problems with a bully in her class, it’s often the innocent child who is moved to another classroom, disrupting HER life and friendships. Our culture has a serious bullying problem. And, I would argue, it starts with the way we have been socialized at school. The child or children doing the bullying is also harmed. Bullying behavior is a cry for help. If it isn’t addressed promptly and thoroughly, the child can escalate to more and more harmful behavior. In extreme examples, it can lead to violence against others or self-harming to the point of suicide. Or, it can cause a child to grow up with feelings of guilt and disconnection. In my experience as a teacher, children who lash out at others are in emotional pain themselves. The “bullies” in my classes were vulnerable, miserable children who needed help. Some had suffered mental, physical, or sexual abuse from siblings or from other children at a previous school. One had disordered attachment due to traumatic experiences in early childhood. Another had mental health problems that caused aggressive outbursts. A few children felt insecure due to past difficulties with learning, so they would try to make themselves feel better by making others feel worse. Most children who bully others are acting out behavior that has been first directed at them. Or, they follow the lead of more powerful children in the class so that they can avoid becoming a target. They are internalizing extremely harmful messages about what it takes to get along in society and climbing up a “pecking order” that ensures that some unfortunate people are always stuck at the bottom. This is definitely NOT the socialization we want. Even if bullying and cruelty were eliminated tomorrow, being “stuck” with peers and not being able to choose who you spend time with is STILL a problem. When kids can’t branch out beyond their grade level or homeroom, they can’t find friends that they really click with. Many of us have had the experience of feeling lonely or disconnected at school. For me, the turning point was when I got access to after-school clubs. That was where I met my first real friends. After years of feeling misunderstood and set apart from peers who liked different activities and thought I was too nerdy, it was a huge relief to meet people who had the same interests. Unfortunately, I had six lonely, isolating years at school before I got to this point. That’s a lot of wasted time. Whenever people insist that socialization only happens at school, I invite them to consider how many children at school are lonely and isolated. Even if they’re not being bullied or ostracized, they don’t have strong connections with peers. They might feel weird or different from others. They might get the idea that there’s something wrong with them, that if they just conformed to the group better, they might be worthy of having friends. Again, this is not the socialization we want! Some schools are wising up to the fact that punishing kids with lost recess is a terrible idea. In the short term, it “works” – to the extent that a child can rein in his behavior, he can avoid losing valued recess time. But if a child is impulsive and hyperactive, losing recess is totally counterproductive. What that child needs is MORE physical activity, not less. Schools are nervous about children being injured at recess, so they cut it short in favor of “academic time” or try to structure it too much. I have written here about why kids need MORE unstructured time, not less! In summary, I’m not sure if people are aware of how much actual social time kids get at school. It honestly isn’t very much. People aren’t actually worried about kids having time to socialize, though. When they ask homeschoolers about socialization, they’re really asking if homeschooled kids are learning to raise their hands, wait on line, wait their turn in games, accept no for an answer, and submit to authority. Some homeschoolers really don’t want to socialize their children into raising their hands, asking permission to use the bathroom, or submitting to authority. But many, if not all, homeschooled children end up taking classes or attending camps in which they have to be part of a big group. And it’s very easy to pick up on raising your hand. My 4 year old participates in library storytime and museum classes, and has picked up on those “classroom norms” pretty quickly. As for waiting on line, you can have THAT wonderful experience just by going to the grocery store, taking the bus, or visiting an art museum. There’s no need to enroll in school for that! Real socialization is about being social with real people, in real ways, in real places. Encountering people of all ages every day. Having friends who are older and younger than you. Being yourself out in the world. The “home” in homeschooling makes it sound like “everything happens within the four walls of our private dwelling”. This is not the reality. Homeschoolers do not spend all day cooped up indoors, away from society. Homeschoolers are out in society every day, interacting with lots of different people and seeing real life as it unfolds. My homeschooled child is totally comfortable with speaking to adults and kids of all ages. He has long term relationships with friends, but can also play with random kids on the playground, including those who don’t speak the same language as we do. My kid knows how to play with babies and toddlers, as well as with older kids. He can answer questions from nosy neighbors. He’s made friends with the cashiers at Trader Joe’s. Homeschooled children live and learn out in the world with their loved ones, their neighbors, and their wider culture, surrounded by social influences of all kinds and interacting with diverse people in natural everyday ways. To me, that’s real socialization. What does socialization mean to you? Leave a comment below!